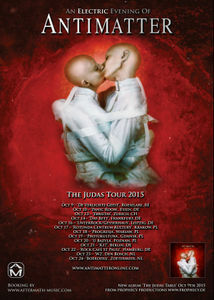 In the wake of their new release ‘The Judas Table’, Antimatter will tour Europe. A great opportunity to see the electric shows all over Europe! Click on the poster and you will have more details!